Advertising online is the best way to attract interest to a brand. Internet advertising means mostly the contextual one, but also it includes the company’s website development and promotion. Simple banners which are placed at different websites are not enough for attracting more clients and sales increase. When we speak about the website promotion we mean the Seo Optimization and Social Media Marketing. Let us not to forget about the Search Engine Reputation management and website’s audit check. Seo for USA when ordered in our company includes all the steps for reaching the high ranking of the web pages belonging to a certain trademark. If you decided to order the promotion of your corporative web site, it would be better to outsource it to the experts. Our company is one of those that can offer any kind of advertising as well as promotion through the search engine optimization on the highest level. What does Seo for USA includes? We can check the structure and functionality of your web pages within the service called the audit check. This service will help you to find out the weak points of the site and remove them for improving its work. We make the website optimized creating the special content with the keywords. This content is scanned by the search engines when a user writes down the search request, if your website contains the keyword, it appears in the search results. The more content with the appropriate keywords exists on the website, the higher ranking the website has. 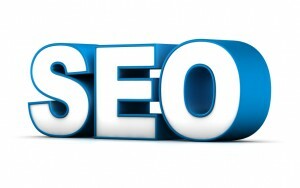 Seo for USA is the service which we offer to our foreign customers with pleasure. Within the service called the social media marketing we are going to promote your brand in the social media. The most popular social networks which are applied by thousands of visitors can serve you as a platform for advertising. The communities created within the networks will gather the interested users being the members of your target audience. The possibilities of social networks allow sharing the information between the registered users, this option makes the brand’s advertising extension more rapid. The visitors will come to your website from such networks and increase your traffic.